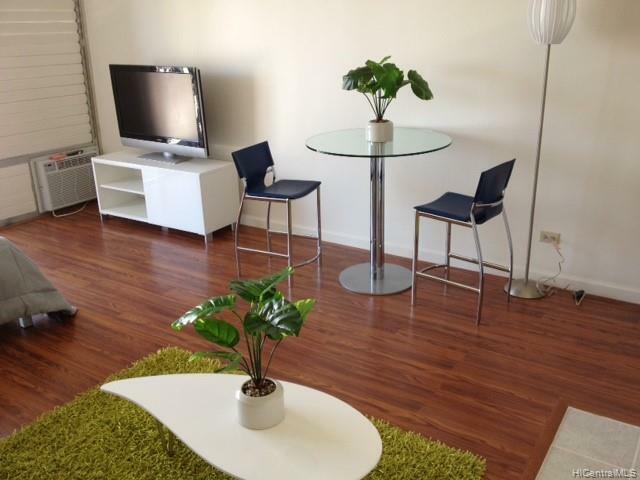 Located in heart of Waikiki, one block to world famous Waikiki Beach. Remodeled kitchen, flooring, bathroom in 2012. Unit comes with covered parking stall. Community W/D on each floor. Maint. Fee includes electricity. Well managed bldg. This studio unit is must see. Restaurant on site. Great investment, second home or owner-occupant who works in Waikiki.